Among the regulations governing the development of renewable fuels are the various requirements in the U.S. and other countries around the world to have a new fuel certified as appropriate for sale and use. In most countries, these regulations are distinct from more recently-enacted laws under which a fuel might be certified as “renewable” or to be sustainably produced – these regulations apply to all fuels and fuel additives , both traditional and renewable. The goal of these fuel certification regulations are to ensure that a new fuel has the appropriate chemical composition and that it is suitable for use in the range of engine types for which it is intended. In this entry and in the previous post, I’ve briefly summarized the regulations or other requirements that are in place in the U.S. for different fuel types. Today’s post will describe testing and registration requirements for fuels intended for military use, following the earlier post which covered requirements for testing and certification of fuels for commercial (civilian) use. I hope to cover regulations and other required procedures outside the U.S. in a subsequent post. The U.S. military branches have, in recent years, been quite active in testing and promoting the adoption of alternative fuels, including biofuels and other renewables. Each of the branches described below has adopted overall energy strategies of which development of alternative fuels is a major component, with the U.S. Navy perhaps being the most aggressive to date in supporting internal and external activities in alternative fuel development. The motivations for this focus include the need to address the costs and logistics of obtaining and transporting the very large amounts of fuels the military branches use, as well as an interest in reducing the carbon footprint, especially for aviation fuels. In fact, Section 526 of the Energy Security and Independence Act (EISA) of 2007 requires that any alternative fuels the Defense Department purchases must have lifecycle greenhouse gas emissions less than or equal to conventional petroleum fuels. Unfortunately, these programs have not been immune from controversy, and the potential use of biofuels for military or civilian aviation, as well as the role of the military branches in supporting renewable fuel development, have been the subject of criticism and attack from the political right wing in recent years. I’ll be summarizing some recent developments on this front in an upcoming post in my Biofuel Policy Watch blog. As mentioned in the previous post, these certification regimes involve oversight over at least three distinct components. These are fuel composition (chemical make-up and physical/chemical properties); engine suitability and performance testing; and health effects of the emissions from fuel combustion. A fourth criteria which comes into play for novel aviation fuels is a consideration of the production pathway used to create the fuel, to ensure consistency and quality of the manufactured fuel product. Fuel composition and properties are often ascertained through the use of standard testing protocols to confirm that the fuel meets the accepted specification. Both the standards and the test protocols are often those certified by ASTM International or the equivalent standards issued by military branches or other international organizations. Engine testing may not be required in all cases, especially where the fuel has been shown to meet the applicable chemical specifications so as to be identical to a previously approved fuel, but where it is required the needed testing is often extensive. Similarly, assessment of health effects of emissions may be required under certain laws such as the U.S. Clean Air Act, but these requirements may be waived for fuels whose composition is identical to fuels currently on the market. In the remainder of this post, I’ll describe the programs and processes in place in the U.S. for testing and certification of motor vehicle fuels and aviation fuels for military use. *Note: the U.S. Army uses jet fuel for its ground transportation needs. Each of the major U.S. military branches maintains its own program for testing and certification of transportation fuels. These programs are generally geared towards testing of aviation fuels, since all three major branches of the military (Army, Navy and Air Force) use aviation fuels, but it’s harder to draw bright lines between different programs: the Navy utilizes the same program for jet fuels as it does for the diesel fuels it uses in its ships, while the Army uses jet fuel in its ground vehicles, rather than traditional diesel fuel, and so maintains only a program for aviation fuel testing. I’ll therefore summarize the programs of each of the military branches, indicating which types of fuels might apply in each case. U.S. Navy. The Navy has made a commitment to increased use of alternative fuels and renewable energy sources, as part of a major effort to improve energy security and address climate change across all its operations. Among several components of a strategic energy plan announced early in the Obama Administration, the Navy is aiming to reduce petroleum-based fuel use in its non-tactical fleet by 50% by 2015, and to achieve 50% utilization of alternative energy sources across the entire Department of the Navy, including its tactical fleet. This has led the Navy to develop a comprehensive program for testing and certification of alternative fuels for its own use and for use by the Marines and the Coast Guard. The Navy’s fuel certification program is managed by the Naval Air Systems Command (NAVAIR) at its fuel laboratory in Patuxent River, Maryland, often in close collaboration with the Naval Sea Systems Command (NAVSEA). The Navy’s process to certify alternative fuels is conceptually similar to the ASTM process described in the previous post for civilian aviation fuels – an alternative fuel produced from a new pathway must undergo an approval process that includes analytical testing and engine testing, and which requires stakeholder approval. However, the Navy does not require a formal balloting process as does ASTM and furthermore the Navy maintains the right to approve fuels that deviate from spec to some extent, if deemed necessary or desirable in the case of any given fuel. The Navy uses NATO specification F-76 (MIL-DTL-16884) as its standard for its shipboard diesel fuels: this standard is similar to the ASTM D-975 diesel standard but differs in certain ways that reflect the intended use of the fuel aboard nautical vessels, including the requirement for a higher flash point and other features to reflect the need for long-term fuel storage aboard oceangoing vessels. Similarly, the Navy uses JP-5 (MIL-DTL-5624) as its standard for aviation fuels – this standard differs from JP-8 in requiring a higher flash point. Using its own protocols the Navy utilizes a four to five step testing process. The first step involves analytical chemistry to ascertain whether the fuel meets the applicable specifications. Second is fit-for-purpose testing. Third is compatibility testing on engine components. The fourth step is full-scale engine testing, and finally, there would be a test run in a Navy ship or aircraft, as applicable. The entire process might take 2-3 years. The Navy would generally undertake all testing of a new fuel themselves, but its Fuel Lab has limited capabilities and cannot carry all fuels through the entire process. The Lab is committed to performing the initial testing (analysis and fit-for-purpose testing) at its own expense for all companies that can provide approximately 5-10 gallons of fuel for testing, but not every fuel would then be accepted for further testing at Navy expense, depending on their projected testing capacity and availability of fuel storage. For those fuels selected for further testing at the Navy’s expense, the Navy would either contract to purchase sufficient fuel from the company developing the fuel, or would enter into a Cooperative Research and Development Agreement with the developer, who would then provide the fuel free of cost. At the conclusion of testing for a fuel produced by a new pathway, the Navy lab will issue a qualification report, which would then be referred to stakeholders with a recommendation to incorporate the new pathway into the appropriate ASTM specification. More information about the Navy’s Alternate Fuels Working Group can be found here, with additional details about the Navy’s fuel testing program available here. U.S. Air Force. The Air Force is also operating under aggressive strategic energy goals: under a 2009 Energy Management policy (USAF Policy Directive 90-17), the Air Force set a goal of certifying all its systems to operate on 50/50 blends of JP-8 with synthetic jet fuel (either meeting the Fischer Tropsch or the HRJ specifications) by 2013, and then to acquire 50% of its fuel needs from domestic synthetic or renewable fuels by 2016. The Air Force’s fuel certification program is run by its Alternative Fuels Certification Office (AFCO), with assistance from the Air Force Research Laboratory (AFRL), both located at Wright-Patterson Air Force Base. The Air Force conducts its testing in accordance with the procedures in Military Handbook 510, and generally seeks to certify fuels that can be drop-in replacements for JP-8 (in accordance with MIL-DTL-83133 or ASTM D-1655 ). The Air Force test program entails several discrete stages, beginning with a “gap analysis”, to determine possible information needs or data gaps, followed by engine testing and flight testing. In the short term, the USAF testing program is dedicated to certification of the use of 50/50 blends of either HRJ or FT alternative fuels with JP-8 in all the aircraft in its fleet, but the Air Force has conducted flight tests with blends incorporating different types of alternative fuels, including those derived from Camelina and other biomass. The Air Force lab has also tested other alternative fuels, including Gevo’s alcohol-to-jet fuel. AFCO has an arrangement with the Federal Aviation Administration and the Commercial Aviation Alternative Fuels Initiative (CAAFI) to certify HRJ fuel – under this arrangement, AFCO provides the fuel, and FAA and CAAFI provide funding for the testing. U.S. Army. The Army’s energy strategy was laid out in a 2009 plan entitled “Army Energy Security Implementation Strategy”, which calls for 50% of the department’s fuel needs for the training base for its tactical mobility fleet (both surface and air) to be met by alternative fuels by 2028, with stepwise targets in the years leading up to 2028. The Army uses JP-8 jet fuel (meeting the ASTM D-1655 or MIL-DTL-83133 standard) for all its surface and air needs, including ground transportation, although it will sometimes use diesel fuel for ground transportation depending on regional availability. Although the Army cooperates with the Air Force for evaluation of jet fuel alternatives, the Army has also developed testing facilities of its own, housed in the National Automotive Center (NAC), co-located in its Tank Automotive Research, Development and Engineering Center (TARDEC) and its Tank Automotive and Armaments Command (TACOM). TARDEC maintains several centers and laboratories where alternative fuels testing takes place, including its Fuels and Lubricants Research Facility, located at and operated by Southwest Research Institute in San Antonio, and the recently-opened Ground Systems Power and Energy Laboratory. The Army testing program is also a multi-step process, including testing of fuel properties, followed by component testing, engine testing, and finally testing the fuel in a complete system (e.g. tanks or other vehicles). Among the regulations governing the development of renewable fuels are the various requirements in the U.S. and other countries around the world to have a new fuel certified or registered as appropriate for sale and use. In most countries, these regulations are distinct from more recently-enacted laws under which a fuel might be certified as “renewable” or to be sustainably produced – these regulations apply to all fuels and fuel additives, both traditional and renewable. The goal of these fuel certification regulations are to ensure that a new fuel has the appropriate chemical composition and that it is suitable for use in the range of engine types for which it is intended. In this entry and in one to follow, I’ll briefly summarize the regulations or other requirements that are in place in the U.S. for different fuel types. Today’s post will describe testing and registration requirements for fuels intended for commercial (i.e. civilian) use, and the follow-up post will cover requirements for testing and certification of fuels for military use. I hope to cover regulations outside the U.S. in a subsequent post. Generally, these regulatory regimes involve oversight over at least three distinct components. These are fuel composition (chemical make-up and physical/chemical properties); engine suitability and performance testing; and health effects of the emissions from fuel combustion. A fourth criteria which comes into play for novel aviation fuels is a consideration of the production pathway used to create the fuel, to ensure consistency and quality of the manufactured fuel product. Fuel composition and properties are often ascertained through the use of standard testing protocols to confirm that the fuel meets the accepted specification. Both the standards and the test protocols are often those certified by ASTM International or the equivalent standards issued by military branches or other international organizations. Engine testing may not be required in all cases, especially where the fuel has been shown to meet the applicable chemical specifications so as to be identical to a previously approved fuel, but where it is required the needed testing is often extensive. Similarly, assessment of health effects of emissions may be required under certain laws such as the U.S. Clean Air Act, but these requirements may be waived for fuels whose composition is identical to fuels currently on the market. In the remainder of this post, I’ll describe the regulatory processes in place in the U.S. for motor vehicle (ground transportation) fuels for commercial use and jet fuels for commercial (civilian) aviation. In the post to follow, I’ll cover the requirements for motor vehicle fuels and aviation fuels for military use. There is some overlap between the different requirements: for example, although it is the Environmental Protection Agency that must certify all ground transportation fuels before they can be sold, a new fuel cannot be used by any branch of the U.S. military unless it has also undergone testing and certification by that branch. The same is true for aviation fuels: a new jet fuel that has undergone the needed testing and analysis to be cleared for use in commercial aviation must also pass muster with the applicable military branch, although in the case of jet fuels there is a greater degree of synergy between these two imperatives. Ethanol, butanol and isobutanol. All fuels and fuel additives must be certified by the U.S. EPA Office of Transportation and Air Quality (OTAQ), under EPA regulations found in 40 CFR Part 79 before they can be sold in the United States. The most common use for alcohols like ethanol and butanol is blending with gasoline, and when used in this way they are regulated as fuel additives, subject to blending limits specifying the maximum concentrations permitted in gasoline (for ethanol, the maximum is 15% for autos and light trucks of model year 2001 or later, and 10% for all other vehicles and motors; for butanol the limit is 12.5%). The approval process for ethanol additives is fairly simple and primarily requires conducting analytical testing to show that the additive meets the applicable ASTM standard (e.g. D-4806 for ethanol), and subscribing to publicly-available applicable health effects studies. There are additional requirements for approval of E15 ethanol, which I have described in an earlier blog post. Diesel and gasoline for civilian use. These fuels also must be certified by EPA OTAQ under the Part 79 regulations, but the process for fuels is potentially more complicated than it is for well-known additives like ethanol, and may require more extensive testing. The following is a brief summary of the needed procedures. The Part 79 regulations establish two families of conventional fuel (diesel and gasoline), as well as four families of alternative fuels, with each family being defined by the specifications of a base fuel (e.g., traditional diesel for the diesel family). Although the alternative families include methanol and ethanol when used as the main component of a fuel rather than as an additive, I won’t discuss those requirements here. Each of the two conventional families are further subdivided into three categories, referred to as “baseline”, “non-baseline” and “atypical”. Baseline fuels are those that contain no elements other than those permitted in the category’s base fuel, and which fully meet the accepted specifications for the base fuel. Non-baseline fuels also contain no elements other than those permitted in the category’s base fuel, but may deviate from one or more of the limitations in the base fuel specification. Atypical fuels contain elements other than those permitted in the base fuel specification, or otherwise do not meet the applicable standards. The regulations specify different tiers of data which might be needed to support the registration of a new fuel. There are basic application requirements (found in 40 CFR Part 79.11), which include the name of the fuel, the results of analytical testing, etc., and basic registration data (40 CFR Part 79.59(b)) which includes projected production volumes and other information. Beyond that, there are three potential tiers of testing: Tier 1 (40 CFR Part 79.52) includes basic emissions characterization data plus a literature search of potential health effects of fuel emissions; Tier 2 (40 CFR Part 79.53) includes toxicity, carcinogenicity and other tests, and Tier 3 (40 CFR Part 79.54) includes other data EPA may require based on the results of data in the other tiers. Although many manufacturers may need to submit the Tier 1 and Tier 2 data, there is a very important exemption available for small businesses (companies having less than $50 million in total annual sales for the three years prior to the application date). Small business companies proposing the registration of either a baseline or a non-baseline fuel are exempt from the need for any Tier 1 or Tier 2 testing; and companies proposing registration of an atypical fuel are exempt from Tier 2 requirements (but not Tier 1) if their annual sales are less than $10 million. Generally, if the proposed new fuel meets the applicable ASTM specifications for that fuel family (D-975 for diesel and D-4814 for gasoline), it would be considered either a baseline or a non-baseline fuel. So, if a small business entity can show compliance with the applicable specification, it would be exempt from the Tier 1 and 2 testing requirements. If an applicant does not qualify for this exemption, it may be possible for that company to obtain access to the required test data by subscribing to a pre-existing group that has generated the data to EPA’s satisfaction (e.g. in recent years, health effects data has been available for biodiesel through such a group). Jet fuel for civilian use (commercial aviation). The regulatory agency for civilian aviation is the Federal Aviation Administration (FAA), but its approvals are not for the fuels per se — FAA approves aircraft, which are given “type certificates” as part of the certification process. Type certificates are given when the agency determines that the aircraft meets applicable regulations, and they usually specify the type design of the aircraft, its operating limitations, applicable regulations and the other approved conditions for which the aircraft can be used, including which fuel types are compatible with the plane’s engine. FAA regulations require that type certificate applicants identify the fuel grade or specifications that are to be used in their aircrafts. Upon approval, the specified fuels become part of the type certificate data sheet and the airplane flight manual. FAA has historically relied on ASTM and equivalent standards, and the agency has stated that any fuel meeting ASTM standards D-1655, D-7566 or D-6615 would be acceptable for use in any engine certified for such fuels. (D-1655 is the specification for conventional petrochemical-derived Jet A fuel; D-7566 is a newer spec for jet fuels containing synthesized hydrocarbons, under which two annexes have been approved: one for fuels produced by the Fischer-Tropsch process, and another for “Hydroprocessed Esters and Fatty Acids” (HEFA) fuel derived from biomass feedstocks; D-6615 is the spec for Jet B). It is important to note that these ASTM standards are specific for feedstock and production process, so that a developer of a renewable or alternative jet fuel that is produced by a new process or feedstock will in all likelihood need to go through the ASTM process to have this fuel pathway certified for commercial aviation use. ASTM International follows a standard-setting process which is uniform throughout the organization. This process is summarized in detail elsewhere, for example, here. Briefly, in order to create a new standard, or an annex to an existing standard, it is necessary to develop a body of testing data which would be evaluated by a task force within a standing ASTM committee or subcommittee. The ASTM subcommittee responsible for the evaluation and approval of new aviation fuels is Committee D.02, Petroleum and Lubricants, Subcommittee J. Those companies or other institutions proposing the inclusion of a new fuel would carry out the needed testing, and the results would be reviewed by the appropriate task force. The task force would then create a Research Report describing the results of the testing, which would be made available to the applicable subcommittee and committee members. After appropriate periods for review and comment, the standard must be adopted by balloting first at the subcommittee level and then at the full committee level. Ballot approvals must be unanimous, which requires that any objections raised at either the subcommittee or committee level be addressed, or the objections withdrawn, before the standard can be adopted. The FAA, along with the Aerospace Industries Association (AIA), Airports Council International – North America (ACI-NA), and Airlines for America (A4A), co-sponsors the Commercial Aviation Alternative Fuels Initiative (CAAFI), as a multi-party organization to facilitate the testing and approval of alternative jet fuels. According to the CAAFI website, the organization’s long-term goal is to facilitate the development and deployment of alternative aviation fuels that will significantly reduce emissions associated with aviation operations in commercially meaningful quantities to improve price stability and supply security. Through its websites and meetings, CAAFI makes available a treasure trove of information useful to companies going through the process of having a new aviation fuel tested and certified for use in commercial aviation, through processes that are often also relevant to the potential use of the fuel for military purposes. In the first few months of the U.S. 113th Congress there have been a number of bills introduced into the House of Representatives and the Senate that, if enacted, might affect the development of ethanol or other renewable fuels. The ones of most potential concern are those, all introduced by Republicans, that are meant to repeal or curtail existing programs that currently benefit the renewable fuels industry. I’ve written about several of these before, in previous Biofuel Policy Watch blog entries, but I thought it would be useful to summarize them here in a single place. There are also a number of bills pending in several state legislatures that would adversely affect development of ethanol or other biofuels, notably in Florida, New Hampshire and Maine, as well as helpful legislation in other states such as Minnesota. Previous entries of Biofuel Policy Watch have described these bills and their status. Please bear in mind that this summary is a snapshot in time, and that new bills are likely to be introduced over time in both houses of the U.S. Congress. Please also bear in mind that these are all early legislative proposals, only one of which has progressed any farther than being referred to the appropriate committee. In most cases the committee has not yet held hearings or begun to consider any of these bills. Not only are they all at such an early stage, but it is safe to say that none of them stand any serious chance of passage in today’s divided political climate: while it is possible that some of the bills introduced in the House may well pass that Republican-controlled chamber, it seems highly unlikely that any would garner enough Democratic support to pass the Senate and be signed by President Obama (or that an Obama veto could be overridden in both houses). So, while these bills are a useful representation of where Congressional Republican sentiment lies regarding renewable fuels, it is very hard to see that any of these bills have any chance of becoming law. In this summary, I’ve grouped the bills according to the policies they would introduce, or more appropriately which existing policies they would overturn or modify. All the hyperlinks below are links to www.govtrack.us, which is one of several sites at which you can find information on pending Congressional legislation. (Note: the bracketed information identifies each primary bill sponsor by party, state, and for members of the House, their congressional district). This bill is meant to address oil industry concerns over the way the EPA sets the annual volume mandate for cellulosic biofuels, since prior to this year there has been essentially no production of fuels qualifying as cellulosic fuels under the RFS. The bill would require the Energy Information Administration in each year to calculate the average monthly production of cellulosic fuels in all production plants, and then to apply that monthly average to all plants expected to be in production in the subsequent year, and for EPA to set the subsequent year’s cellulosic mandate at the exact level that is calculated. The bill would also require that, in any year in which the EPA reduces the applicable volume of cellulosic biofuel from the levels specified in the original RFS2 legislation, it must also reduce the applicable volume of renewable fuel and advanced biofuels required by the same amount. The renewable fuels industry opposes such an approach, because it views the law’s current requirement for escalating mandates as providing an incentive for growth that would not be provided if each year’s mandate were set at the exact level of production of the preceding year. First discussed in Biofuel Policy Watch, February 26, 2013. This is the companion bill to H.R. 550, with essentially identical provisions. First discussed in Biofuel Policy Watch, February 26, 2013. H.R. 796: To require the Administrator of the Environmental Protection Agency to use the commercially available volume of cellulosic biofuel in setting requirements for the renewable fuel program under the Clean Air Act, and for other purposes. Like H.R. 550 and S. 251, this bill would require EPA to base its annual cellulosic fuel volume mandates on actual production levels in the prior year, and to make corresponding reductions to the mandated volumes of renewable fuel and advanced biofuels. First discussed in Biofuel Policy Watch, February 26, 2013. This bill would simply repeal the sections of the Clean Air Act that created the Renewable Fuel Standard. 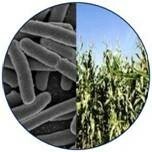 First discussed in Biofuel Policy Watch, April 18, 2013. This bill would revise the Renewable Fuel Standard in several ways: first, to reduce the annual volume mandates so that there would be no specified volume required for the category of “renewable fuels” that is today largely met by cornstarch-based ethanol; second to require that the annual mandates for cellulosic biofuel be based on actual production levels; and third, to prohibit EPA from approving for use in the U.S. any ethanol blend of greater than 10%, and to rescind any waivers or approvals the agency has already granted for E15 or other mid-level blends. First discussed in Biofuel Policy Watch, April 18, 2013. According to a press release from the bill’s sponsor Rep. Burgess, the intent of this bill is to prohibit EPA from granting approvals for ethanol blends greater than 10% and to revoke any previously-granted waivers allowing such blends. However, the bill would also radically change the RFS by simplifying the definitions, removing the four current categories of fuels under the RFS, and instituting a single volume mandate for all renewable fuel, for all years, at 7.5 billion gallons. Presumably the point of this latter provision is that, by lowering the annual mandate to well below current production levels, the need for the nation’s gasoline pool to exceed 10% ethanol would disappear (i.e., essentially eliminating the “blend wall”). The provisions of this bill are nearly identical to one portion of the provisions of H.R. 1462, of which Rep. Womack is a cosponsor: like H.R. 1462, this bill would reduce the annual volume mandates so that there would be no specified volume required for the category called “renewable fuels” that is today largely met by cornstarch-based ethanol. This bill does not contain the other provisions of H.R. 1462. Since 1462 and 1482 were introduced on the same day by an overlapping set of cosponsors, presumably the cosponsors will elect to move forward with 1462, the broader based bill, thus superseding 1482, but that remains to be seen. This bill would repeal EPA’s granted waivers for E15, and would also require EPA to contract with the National Academy of Sciences to conduct a comprehensive assessment of available research on E15 and all “mid-level” ethanol blends. The bill would prohibit EPA from granting additional E15 waivers until the results of the NAS study were submitted to Congress. This bill was the subject of a hearing held by the House Committee on Science, Space and Technology Subcommittee on Environment on February 26, 2013, which was noteworthy because all the witnesses at this hearing represented groups critical of EPA’s E15 decision, with no witnesses from the renewable fuel industry. After this hearing, on April 11, 2013 the full Committee reported the bill out for action by the full House, which has not taken place as of this writing. First discussed in Biofuel Policy Watch, March 19, 2013. This bill is meant to address a concern that has been frequently voiced since EPA’s approval of E15 ethanol/gasoline blends. E15 is not approved for all vehicles out of concerns that engines of older cars may be damaged, and furthermore many critics believe that this blend will even be harmful to engines in the late-model vehicles for which use is approved. There are also concerns about the compatibility of E15 and other mid-level ethanol blends with infrastructure in place at gas stations (e.g. storage tanks, dispenser pumps). The goal of the bill is to ensure that service station owners, certain engine manufacturers and fuel producers are not held liable if damage or other liability results from the misuse of an EPA-approved fuel. Specifically, the bill would: exempt service stations from liability under EPA’s waste disposal laws and otherwise for damages caused by the incompatibility of underground storage tanks or dispensing equipment with E15 or other fuels; exempt service station owners from liability if a self-service gasoline purchaser uses ethanol blends in vehicles for which such blends are not improved, or if such action voids the warranty for the customer’s vehicle, except in the cases where the service station has not complied with EPA-approved misfueling requirements or in the case of intentional misfueling; relieve engine manufacturers, renewable fuel developers and others from any liability resulting from an individual’s misfueling. These two bills, discussed in detail above, would each limit EPA’s ability to approve ethanol blends of greater than 10%, while also amending certain aspects of the Renewable Fuel Standard. S. 344: A bill to prohibit the Administrator of the Environmental Protection Agency from approving the introduction into commerce of gasoline that contains greater than 10-volume-percent ethanol, and for other purposes. This bill would prevent EPA from approving ethanol blends of greater than 10%, and would overturn EPA’s prior approvals of E15 blends. It would accomplish similar goals as H.R. 875, as discussed above. First discussed in Biofuel Policy Watch, February 26, 2013. This bill would repeal a number of existing tax credits for renewable fuels, including the excise tax credits for alcohol fuel, biodiesel, and alternative fuel mixtures; the tax credits for the purchase of alternative motor vehicles and new qualified plug-in electric drive motor vehicles; the alternative fuel vehicle refueling property tax credit; the income tax credits for alcohol, biodiesel, and renewable diesel used as fuel; the tax credit for carbon dioxide sequestration; and others. This bill is identical to H.R. 259 except that it contains a different list of cosponsors. Presumably this bill would supersede H.R. 259, both of which have been referred to the Ways and Means Committee.